I love this recipe. Just ask my "bat wings" how much I love it. I feel so ashamed! I was hungry for popcorn with marshmallows in it. I am not generally a mixer or salty and sweet but, when I mentioned to my husband I was thinking of this he was on top of the world! We are lovers of the movies and this cake, is like a bite of a movie theatre. All of the usual movie theatre suspects, in one bite?! Yes! You are VERY welcome! I think this is so festive and what a fun alternative to a real cake! How fun would this be on a sweet table for any party!? Decorated and ingredients matching a theme would be really cool too! Make it your own. No bake, no muss, no fuss. This is so easy and feel free to change out my candy choices for ones you might like better. Just make sure you can buy them at the MOVIES!! Let sit at room temp for 15 minutes. Serve! NOTE! REMOVE all OLD MAIDS from your popcorn. 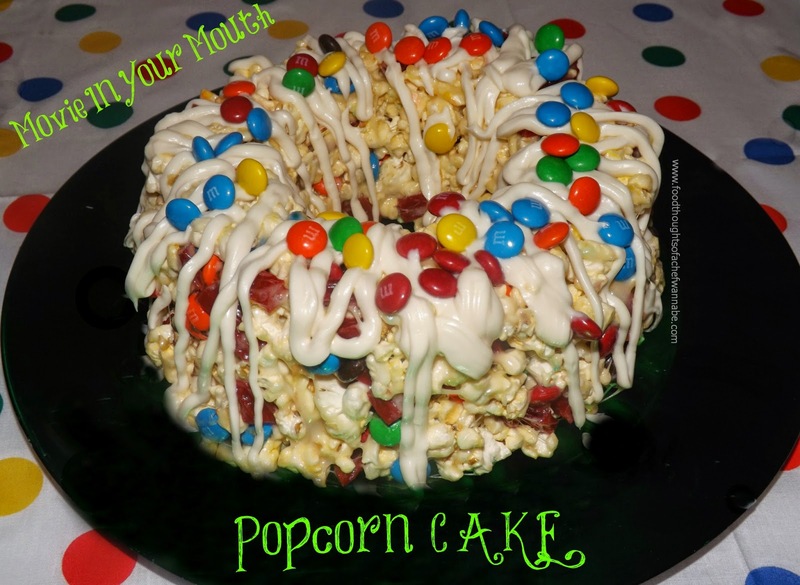 This is SO important, you don't need anyone breakin' their grill on your popcorn cake! I forgot one, and I am the one who found it. No broken teeth but, not a pleasant experience! Enjoy your mouthful of "the movies"!! Oh man. It has been one of THOSE days. I got out of bed just to take some Excedrin migraine and go back to bed. At 11am I still hadn't knocked this baby out, but life goes on, right? I had bread to make! And making bread is what I did! This is an age old recipe, but...... I just never shared it. I got this recipe so long ago from someone I taught with. I can't believe I can't remember her name. I will think of it, you know, in the middle of the night. Anyway it is just an easy recipe to throw together. I used frozen bread dough, if you have a great recipe for a white bread dough, feel free to make your own. Headache people, it means convenience! So enjoy this as an appetizer, a picky, serve it with a meal, whatever you want. Just enjoy it! If you like, you can serve with marinara for dipping! Use as much pepperoni as you want. There are no boundaries on the love of pepperoni! Combine 2 loaves of your frozen bread. Roll out until desired thickness is achieved and a rectangular shape and drizzle half of the olive oil over the top. Sprinkle with Italian seasoning, garlic powder and grated Parmesan cheese. Lay the pepperoni to cover the dough, as much as you like and then top with grated mozzarella cheese. Carefully roll the bread up, starting at one side (long side) moving up and down the side to roll it evenly. Pinch the edge to the rolled dough when you get to the end, flip the sides up and lay seem and tucked end side down on a parchment lined cookie sheet. Rub the top with your remaining olive oil and sprinkle with some extra seasoning! Hello friends! I am sorry for my absence but as most of you know I got a Mother's Day surprise to beat all sunrises! My kids showed up with their new twins who we haven't yet met, to surprise me! It was awesome! So I took 3 days to spend quality time with my children and grandchildren and now am back and refreshed and ready to get back in the kitchen! It is funny I made these last week, actually only 2 days before my son came to see me, as his crab cakes are the B-E-S-T! However, I think mine are awesome so you are getting mine and maybe one day I will share HIS! It seems crab cakes we order out, are often all breading and no crab. Ick. When I order a crab cake, there better be identifiable seafood IN it and it shouldn't just appear to be Stove Top Stuffing fried into a patty! You know what I mean? I like flavor dimension, I like color and I like a nice sweet crab flavor. You can make this with imitation or real crab meat. The choice is up to you, your taste and/or budget. We had cocktail sauce and some horseradish mayo we used for dipping! Try these and let me know what you think. I think you will be one happy crabby cake eater! Combine all ingredients in a bowl large enough to accommodate the mixture. 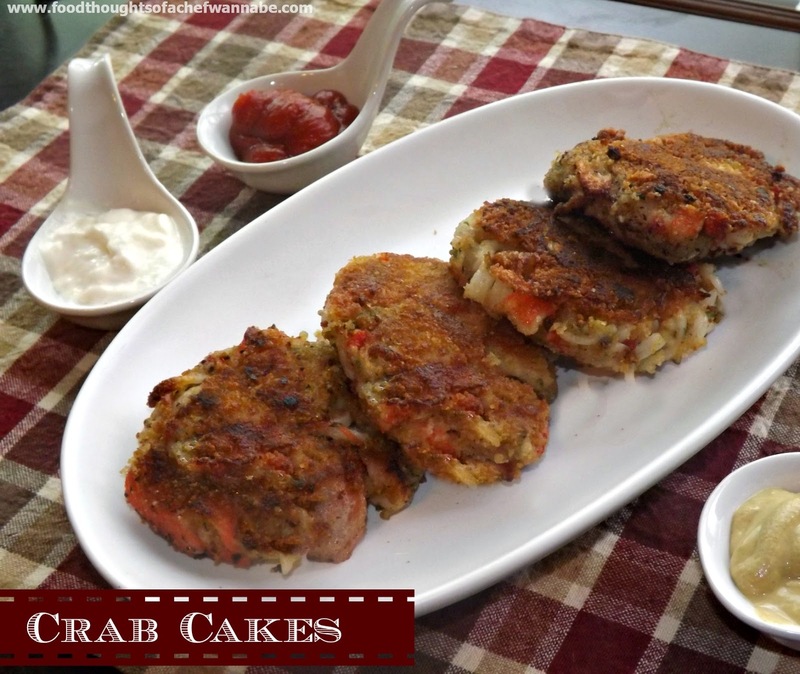 Place your 1 extra cup of breadcrumbs into a bowl to dust both sides of your crab cake before frying. Preheat a nonstick skillet with 1 tbsp olive oil and 1 tbsp. butter melted in it. Take a handful of the mixture, make into a ball and slightly flatten it, carefully lay in bread crumbs, and then flip and coat the other side and then place in pan. Fry on MEDIUM HEAT for about 2-4 minutes per side depending on the size. I got about 10 crab cakes from this mixture. When they are done, drain on a paper towel to absorb excess oil and serve with your favorite sauce! You may need to add more oil and butter halfway through frying! PS make these really small for party appetizers! The weather is getting warmer! Finally! Although admittedly, I don't mind the bitter cold, I DO mind the snow and ice! You know the hot weather will get here and we will all be whining about how hoooooooot it is, right? HA! 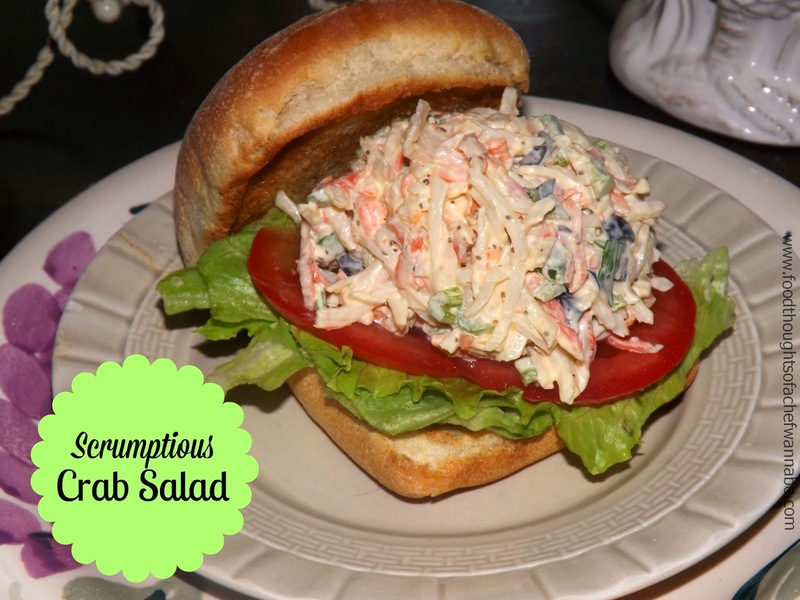 The list goes on, HOWEVER.....all of these things are in this crab salad that he deems "BEST EVER"
When my husband and I decided to make this, he wanted it loosely based on his favorite crab salad he had ever eaten from home at a place called "Mulford's Seafood" in Millville, NJ. Imagine my surprise when he wrote a list of ingredients he wanted in it. WHAT? Where is my husband?!?! I wasn't surprised he didn't want onions, I mean, he has now convinced himself he is allergic to them after all! He is so adorable! We tweaked, and twisted, and added and subtracted and came up with a salad he now says is his favorite. I don't like crab salad, so when I tell you this is "amazing", that is all hubby talking! Summer time is a huge sandwich season for us. Cold salads, deli meat, etc. Anything to not heat up the kitchen! This is really easy to toss together and the longer you let it chill in the fridge, honestly, the better it gets. 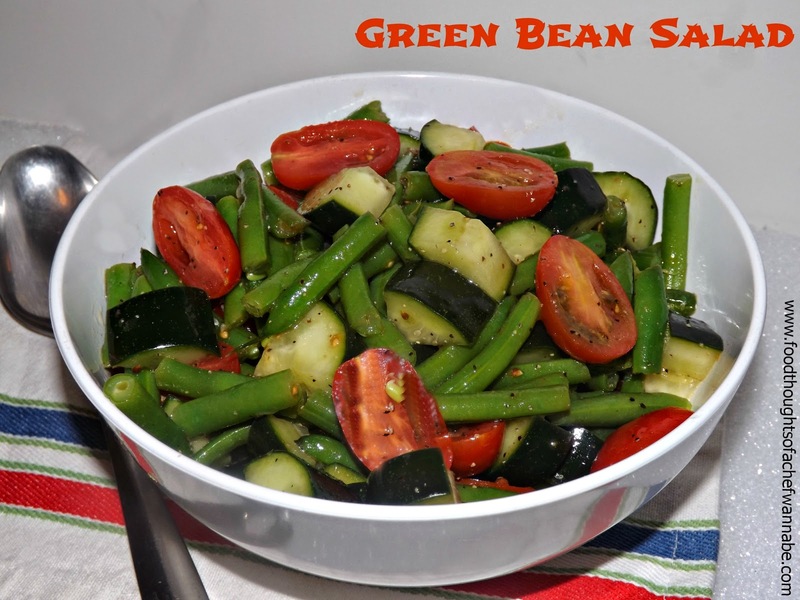 Serve it on a salad, on a roll, rolled up in a tortilla, you name it, you can use it to carry this deliciousness to your lips! I hope you like it! Combine all ingredients in a medium bowl. Chill for at least 3 hours before serving. My husband says, "no, it needs to sit overnight". 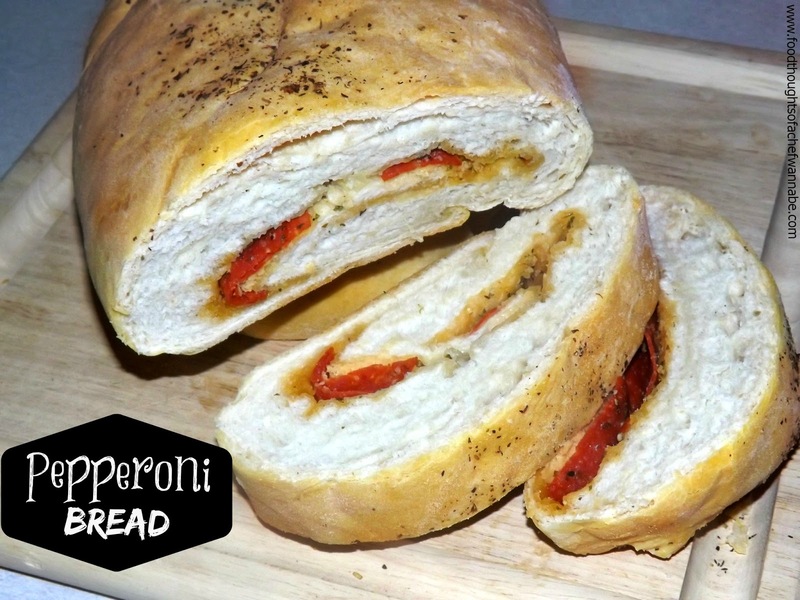 I served these on buttered and toasted ciabatta rolls! I hope you enjoy this as much as my dear husband does!! Happy Monday friends! Hoping you are all recovering from your first day after the weekend! Hangovers? To much yard work? Bad Monday back at work? Well, I am about to cheer you up in ways you didn't even know were possible. I think, anyway. So, tell me why nobody has ever introduced me to this cake before? I mean, seriously, this has got to be what heaven is like. I am serious, one piece, and I am all in! I have even declared it my new favorite dessert EVER. Yes, I said, "EVER". It baffles me how you can pour all this milk over a cake and it doesn't get soggy, it just gets heavenly. 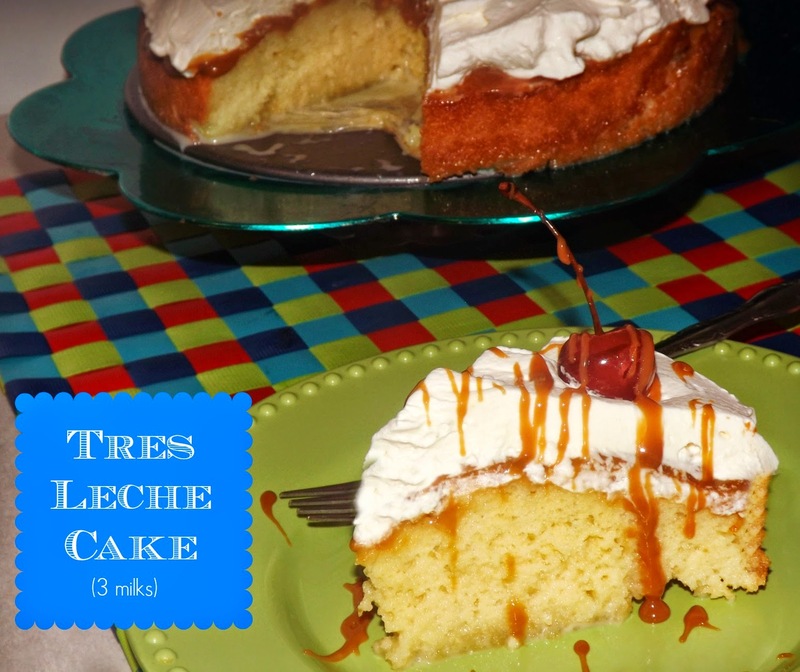 I twisted mine up a bit and incorporated my homemade dulche de leches as a layer of "frosting" between the cake and whipped cream. I drizzled a bit more over the top and it was off the charts. I really have nothing else to even say about this! This cake could easily be made the day before and just do your whipping cream before serving. The longer this cake sits with the milk, the better people. Don't forget the cherry on top! I have no idea why I said that, but I haven't ever seen a photo of it without a cherry on top. I am a follower people, I am a follower! Include the stem and see who can tie it in a knot with their tongue. My husbands special gift. (stop looking at me like that) Ok that is an entirely different blog post. Preheat your oven to 350 degrees F. Prepare either a 9x13 pan or a 9 inch round spring form pan by spraying with nonstick cooking spray and if using a spring form pan, line the bottom with parchment paper. Set aside. In a bowl combine flour and baking powder and also, set aside. In a bowl or the bowl of your stand mixer, cream together butter and sugar. Add eggs, one at a time, giving each one a few seconds to mix with the batter. Pour into prepared pan and bake for 25-30 minutes. When a toothpick comes out clean with no batter on it, you are done! Place on a cooling rack and let cool for 20 minutes. Remove cake from spring form pan. Peel off the parchment from the bottom and replace on the bottom of the pan and close it back up. You will need the sides to hold the milk in while it soaks up! Using a tooth, skewer or large fork, pierce the top of the entire cake. Now in a bowl whisk together, 1/2 cup heavy cream, sweetened condensed milk and evaporated milk. When well combined, pour S L O W L Y over the cake. Let sit 15-30 minutes and all of the milk mixture will be absorbed into the cake. Whip 1 1/2 cups heavy cream, 1/4 cup powdered sugar and 1 tsp. vanilla to stiff peaks! Now is where my twist comes! I made Dulche De Leche the other day. You can make it or not. But it adds wonderful flavor! If you choose to make a batch, after it has cooled, spread a layer of it on top of the cake. Then spread your fresh sweetened whipped cream and add some cherries! I chilled this for about 8 hours, and it was even better than the first piece I had. Um, yea, I had 2 pieces. I am so ashamed. Am I the only one who thought dulche de leche was caramel? I was wrong! I found this out via Gretchen over at Woodland Bakery last week! ACK! Who knew?! Lots of people use caramel in its place, or call it caramel but it technically isn't caramel! Anyway, I wanted to give this a try because, duh, I had to, that is why! It looked beyond delicious. But here is where my scatterbrain tendencies came in. Umm, what am I going to do with it when I am done? 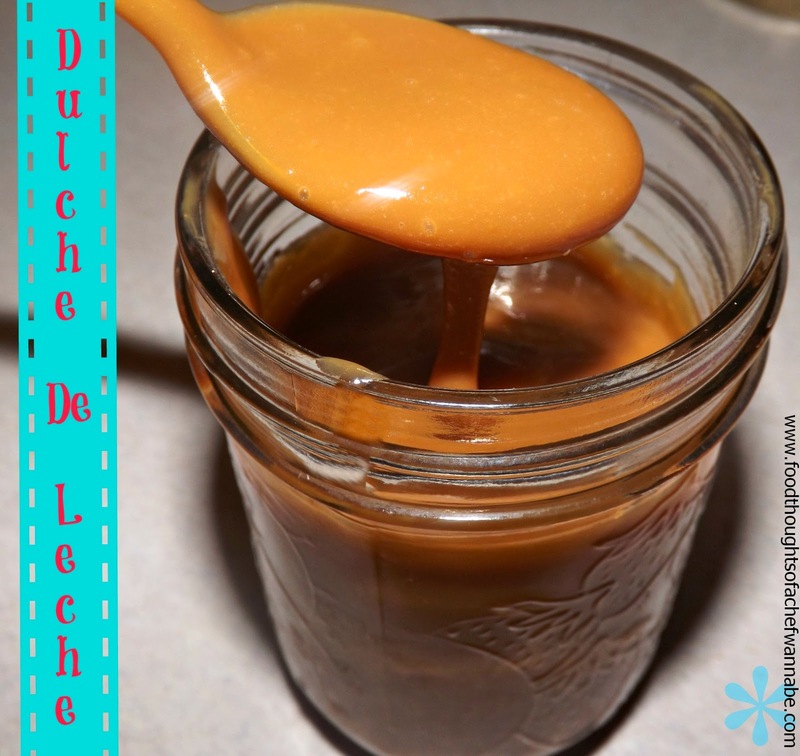 Dulche de leche is distinctly different tasting than caramel, to me anyway. It is not quite as sweet, but just beautiful in texture and flavor. I can't wait to figure out what I am going to do with this. Admittedly it is a bit of a long process to make. It will take you about an hour from start to finish. This is one of "those" recipes, where you better get something good up on Pandora, or your Ipod, or somewhere and get your groove on. Consider it the opportunity to give a one hour in home vocal concert, OR dance show. The choice is yours. It isn't complicated, at all, just time consuming. Thanks Gretchen for educating me and for the recipe! Use a large heavy bottomed pot for this. It will bubble up a lot!! Bring your milk to a boil, once it is boiling, add brown sugar, baking soda, salt and vanilla. Using a whisk combine all ingredients. Reduce to a simmer and let the singing/dancing begin. You can NOT walk away from this. You just can't. I mean you can, but, don't say I didn't tell you so. You will need a slotted spoon to skim the foam off the top ever so often. Make sure to do this! Whisk every couple of minutes or when it needs it and let continue to simmer until it becomes dark and eventually thickens. If you don't keep this at an active simmer it will take longer! Be patient. I mean REALLY patient. It will be so worth it. When it become thick, like maybe a pudding or a bit looser than pudding, strain mixture through a fine mesh strainer to remove any bits that may have cooked on the bottom, then, pour into a bowl and let cool. Refrigerate, it will continue to thicken the longer it is in there!! This is when your imagination takes over. Use it for something amazing! I know what I am doing with mine!! !